Perhaps the most prominent recent example of a major investor – one that has been spending liberally over the past 10 years – suddenly getting cold feet, is Softbank which had to slash 88% of its planned $16 billion investment in WeWork after the bank’s backers objected to the deal. 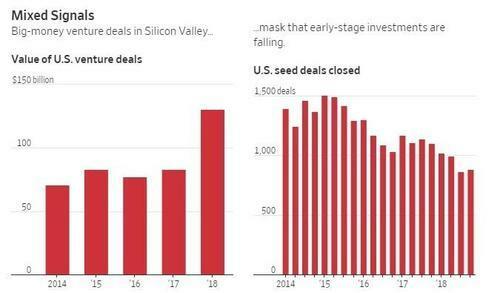 The sudden change in sentiment comes after a bumper year: U.S. VC backed companies raised a record $131 billion last year – eclipsed only by the previous record of $105 billion in the year 2000. 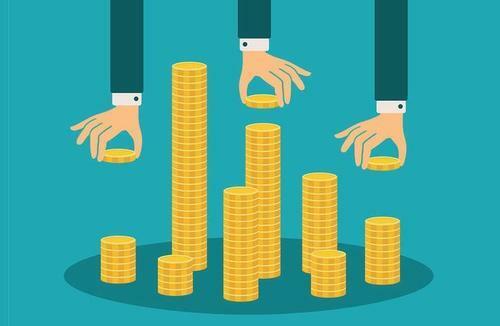 And not all companies appear to be stuck – Uber and Airbnb are both still eyeing IPOs to help early investors cash out. Hustle, which placed two video games costing $12,995 in its headquarters, still has a pulse, albeit with a much smaller spending footprint. Hustle even went as far as to rip its espresso machine out of the kitchen at the company’s headquarters. Hustle was hiring new employees recently, despite having fallen short of revenue goals for the quarter and year, people familiar with the matter said. Investors were uninterested in putting in new money after Hustle failed to reach targets in areas such as signing up new corporate clients, meaning it’s only a matter of time before the plug is pulled. Another way of saying that” money was very easy… and then it no longer was. Looks like it’s back to Folgers for the remaining employees, who will have a job for at least a few more months. That’s why we only like late stage mature companies because they have proven themselves. Startups are a gamble and you don’t know what’s going to come out of them. Companies in our Matrix have been growing strongly for years. New companies can be exciting but there are many risks in startups and really should only be for the most savvy VC investors. For example, we just added Stripe to our hot list – and this is a company that we have been doing business with for a long time, due to their advanced API. Stripe is a payment system for the future – that relies heavily on development and integration, rather than your typical merchant solution offered by banks. This entry was posted in Industry News and tagged pre ipo, startups. Bookmark the permalink.